It is a crazy time of the year. Kids are excited and so are you! Christmas is such a wonderful time so embrace it with activities surrounding the season. Choose ones that are fun, educational, and engaging! Here are some language arts ideas to help keep your students engaged and learning through the excitement this year! You are welcome to take these lessons and ideas and make them for your classroom. Although I have them in my store for an easy no prep purchase, I will try to provide as much information as possible to create your own if you are on a budget. There are also some freebies below so jump on the sleigh and take a ride through this post! HO! HO! HO! Here are some synonyms to use for the holidays! You can write them on card stock for students to use in your class. How to use them in a center? Students shuffle the cards. Then place concentration with two students. Turn two cards over to see if they are a synonym match. If they aren’t, turn them back over. Continue playing until they are all matched. Then write the answers on a sheet of paper! On card stock, write the following words. Cut the cards out and have students arrange them in ABC order. Once placed in order, write the answers on a sheet of paper. 1. Have students write a letter to Rudolf telling him what they would do if they had a nose that glowed. 3. Paste the nose on their drawing. 4. Optional: cut out the face. 5. On colored paper, glue the face on one side and the letter on the other. This is a great conversation text! Go to the article: Decorating Before Thanksgiving Do or Don’t by Anna Claire Vollers. After reading the text, have students form their own argument. Write a rough draft, revise, edit, then write a final copy. I like to have them illustrate their argument too! If your students have tablets, you can create a barcode for them to scan to get to article. Also on the site, students can vote for their thoughts! 4. Decorate Before or After Thanksgiving: Argumentative Writing. December Word Lists– FREE HERE ONLY! Click the December Words picture below. Here is another freebie great for writing- Templates to make your writing into cute bulletin boards! Then while students are presenting, I like the students to take notes on other traditions! This activity can be used with any picture. This one is free in my store! It is a great way to encourage a critical thinking conversation. It works well on the smart board for whole group discussion or printed off for group discussion. You will be amazed at how much students will notice, think, and wonder about one illustration! 1. What do you notice about the illustration? 2 Think deeper about the illustration. 3. What do you wonder? This is a great time of year to study legends! My favorite legend at this time of year is Legend of the Poinsettia. I like to have students make a poinsettia as a craft to go along with the text. You can google how to do this! I mix in other legends as well! How do I set this up for my class? Monday: What are legends? Old stories that are widely believed but cannot be proven to be true. Choose a legend to read to them and discuss why it is a legend. In groups, have students read a legend. Write a summary and make a connection to the story. Tuesday: Choose another legend. Write a summary and find the author’s craft or imagery in the story. Wednesday: Choose another legend. Write a summary, then explain a quote from a character that is meaningful to the story. Thursday: Choose another legend. Write a summary, then pick out the different story elements. Read the article online. An Outlaw Christmas. 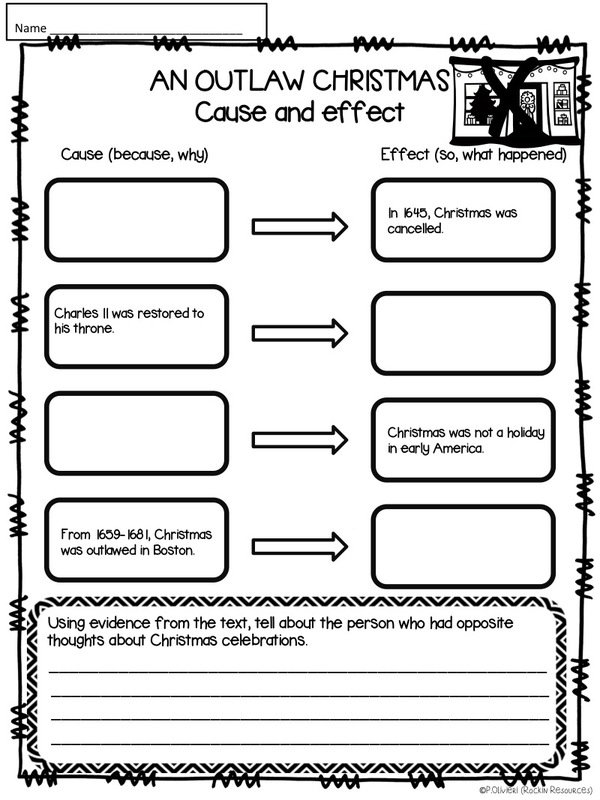 Then discuss the cause and effect strategies (because- why, effect- what happened). Give students dates from the article and ask them to tell what happened on those dates. You can use the information from the following worksheets. Get a copy of Stopping By Woods on a Snowy Evening by Robert Frost. Read together and in groups have students analyze it. Here are items to analyze along with the answers! Theme: We all have ups and downs. Deciding on keeping a promise or peaceful. Repetition: And miles to go before I sleep. To show how far he still has to go or how tired he might be. Why did they stop between the woods and lake? Quiet and peaceful. Can forget his troubles. What promises are there to keep? He may have responsibilities or duties that are making him sad or stressed. Santa’s Similes- see below for free worksheet! Mrs. Claus’s Metaphors- Ex. Santa’s beard is a cotton ball cloud. Rudolf’s nose is a __. Frosty’s spirit is _____. The elf’s ears are ____. The fireplace was a _____. Holiday Hyperbole- Ex. The lights were so bright that they lit up the whole world. The sleigh was so full that _____. Frosty was so hot that ______. The angel flew so high that ______. Onomatopoeia Ornaments- Ex. I heard Santa’s sleigh whiz through the sky. Did you hear the horse ____ in the stable? The icicle melted and ____ down to the ground. 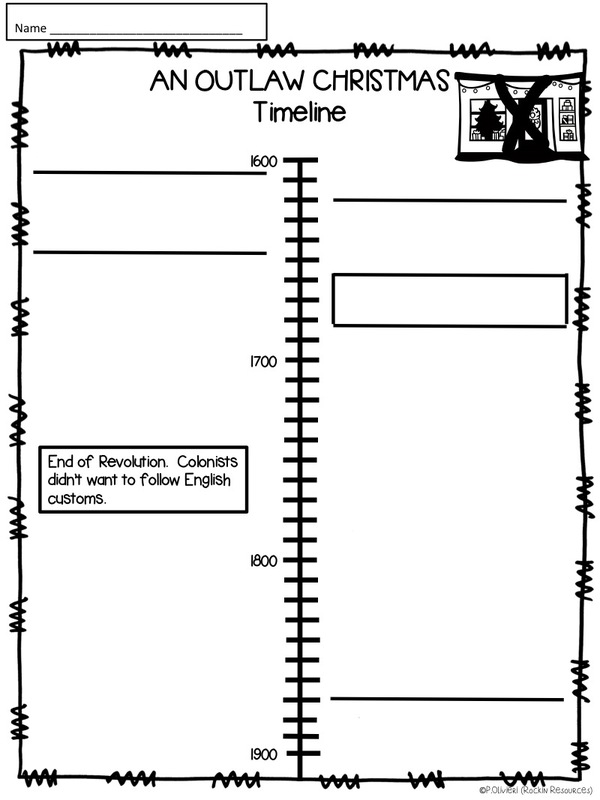 Free worksheet- fill in the rest of the simile for each one! Do you need cute Christmas Thank You cards for your students? These are free! If you are looking for ideas to keep your students’ attention throughout this time of year, here are some great ideas! I hope you got some great ideas to use in your classroom this holiday season! I wish you a very Merry Christmas!!!!! Christmas Around the World Web Quest and More!